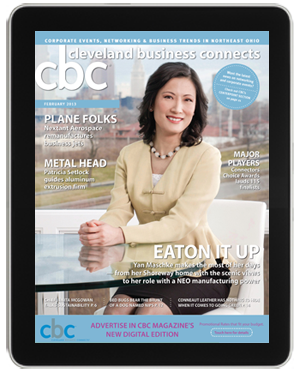 CBC Magazine is Cleveland's Premier B2B Publication featuring corporate events, networking and business trends in Northeast Ohio. 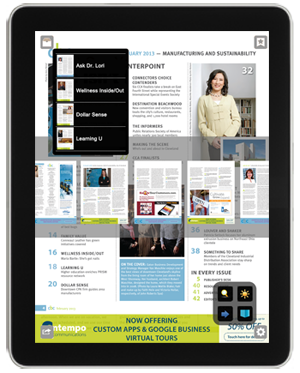 Distributed monthly to 20,000 business professionals, CBC Magazine is now seamlessly optimized for interactive mobile viewing. With your new free digital subscription, CBC™ helps connect you to savvy decision-makers and trendsetters impacting Northern Ohio's development. "Working with Mike and learning about the cutting edge technology of mobile applications is like no other experience I've had. I've suggested, implemented and been a part of new technology and digital marketing but Mike perspective, strategies and suggestions are both innovative and forthright. I would highly recommend any company, organization or enterprise meet and review these solutions with Mike as he has his pulse on ways to meet market demands and generate revenue streams."